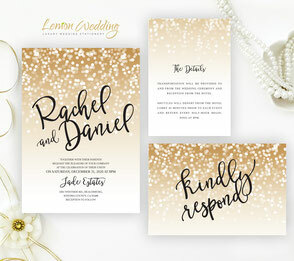 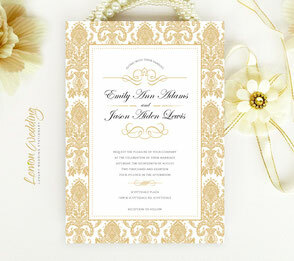 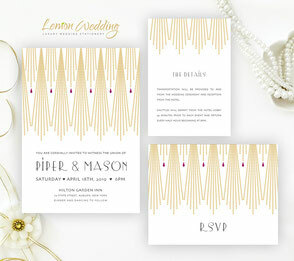 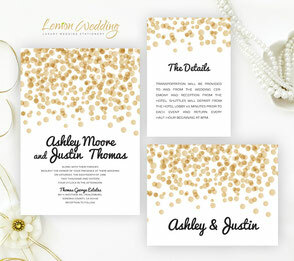 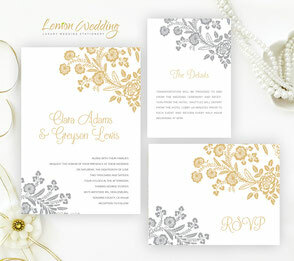 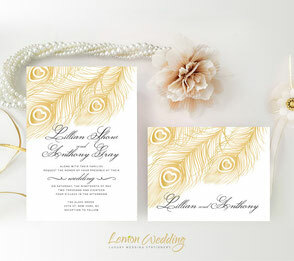 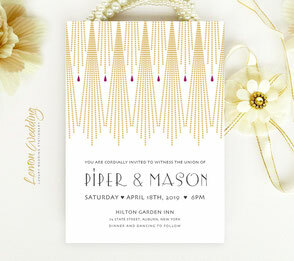 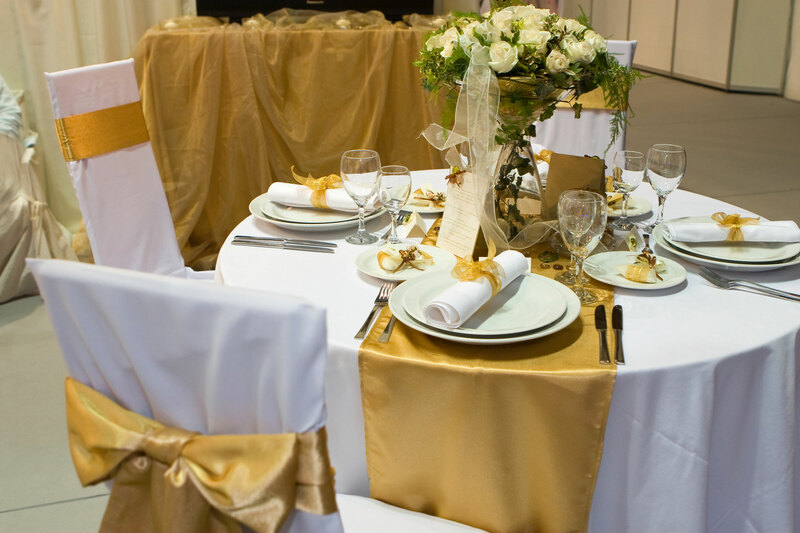 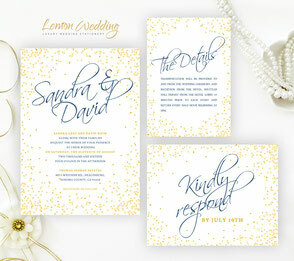 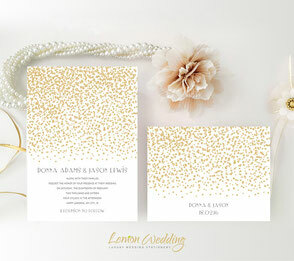 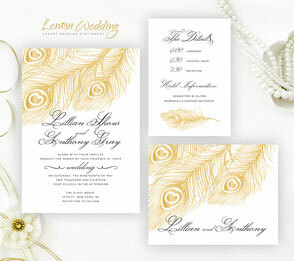 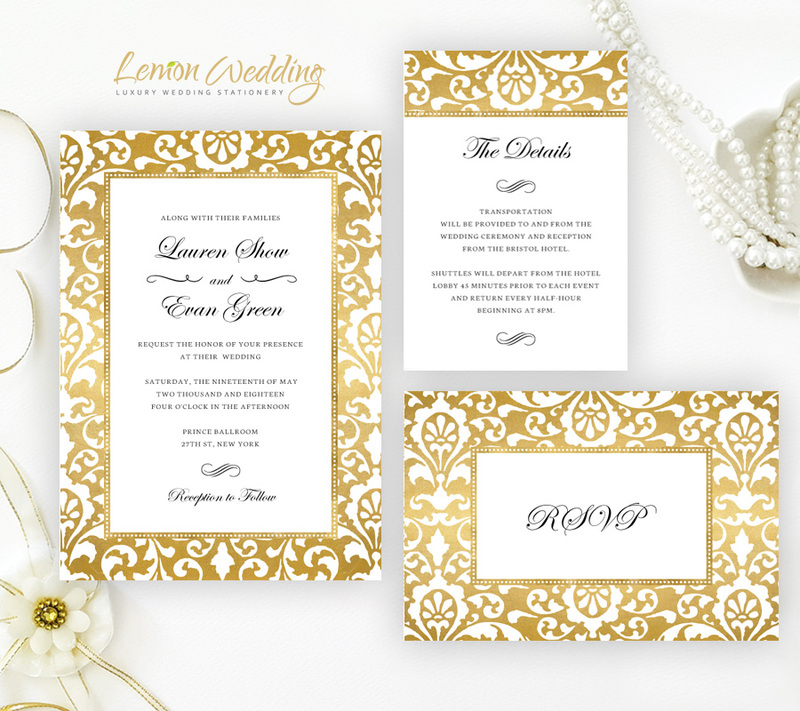 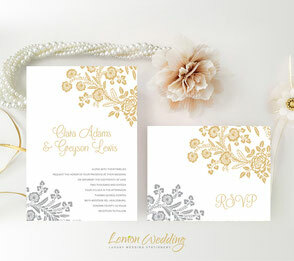 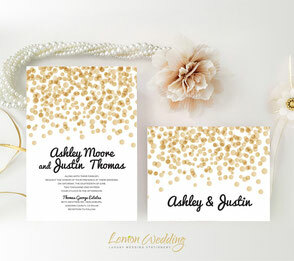 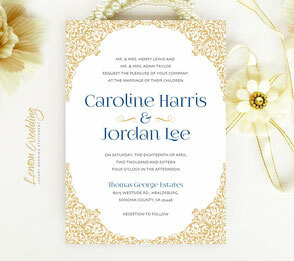 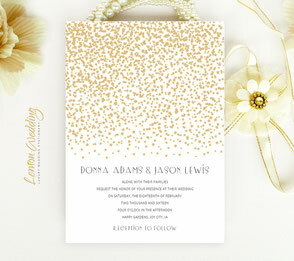 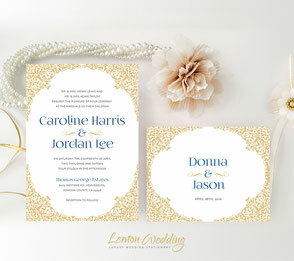 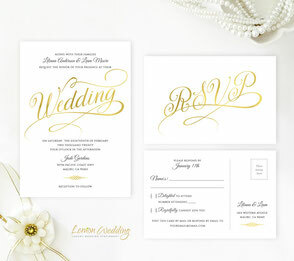 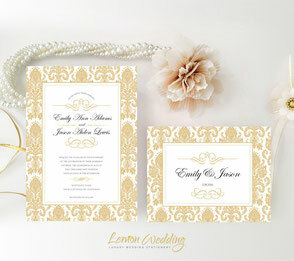 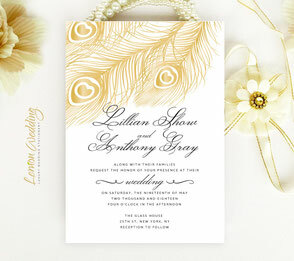 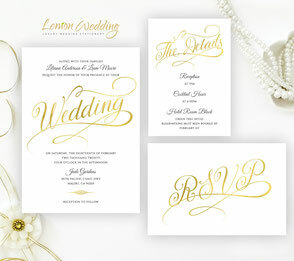 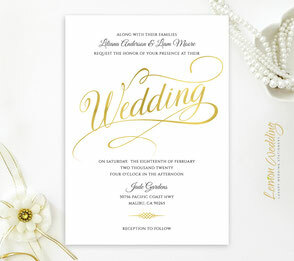 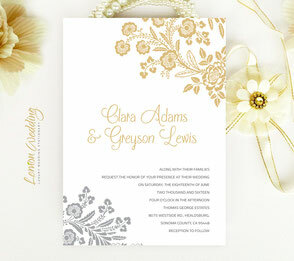 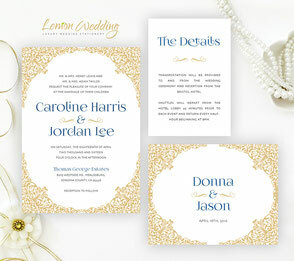 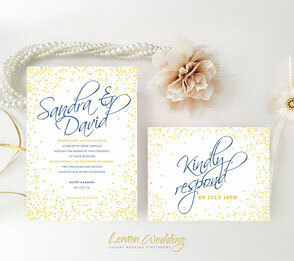 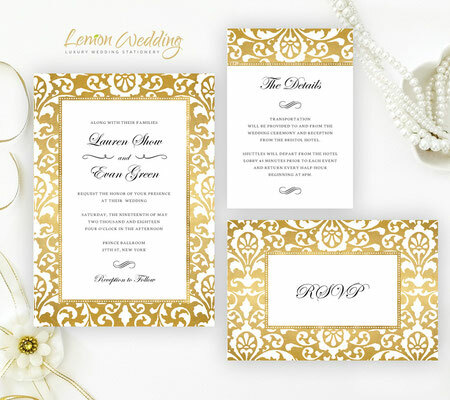 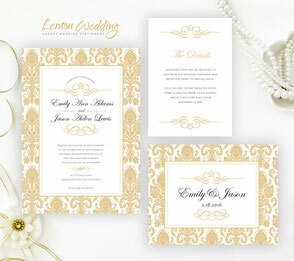 Add some sparkle to your wedding with one of our gold wedding invitations. 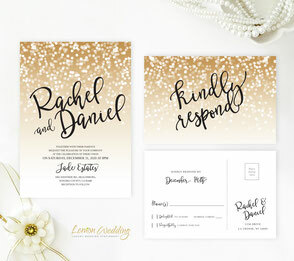 Pick your favorite design from our amazing collection: calligraphy gold wedding invitations, glitter gold wedding invitations, rose gold wedding invitations. 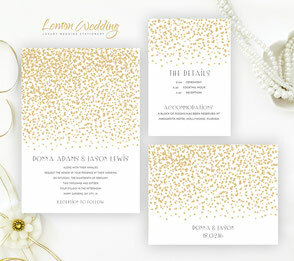 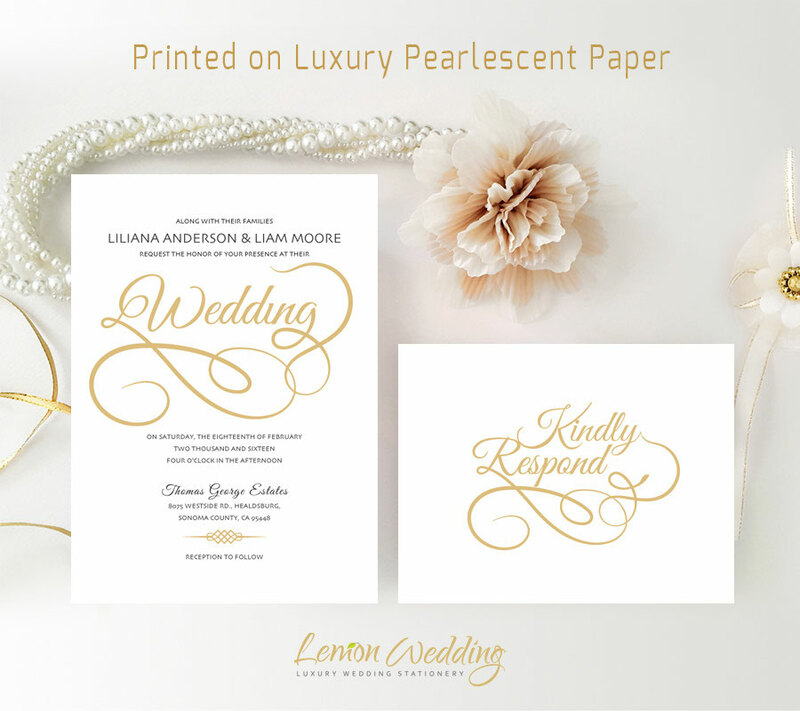 We print on luxury white shimmer card stock, which will give your stationery elegant and sophisticated look. 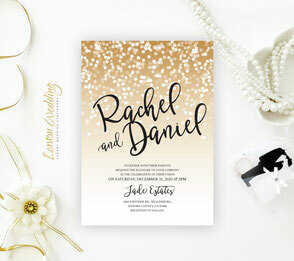 Love, love, love my invitations!! 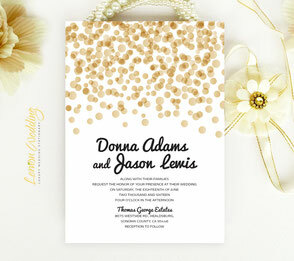 Fantastic seller...more than willing to work with me on color and making the invite look the best it can. 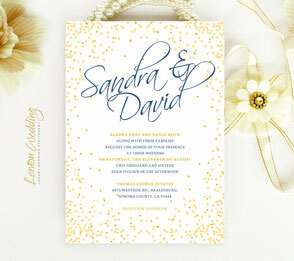 I have had many compliments on my wedding invitations thanks to this seller. Thank you!